by Tom Douglas | History | This book has not been rated. Today my husband and I needed to go to our neighbouring city, Guelph, and we stumbled upon a HUGE book sale while we were there! This is one of the books we brought home. My life has been rather immersed in First World War history lately as we're approaching the centenary of the Armistice and I have been working hard on a particular project relating to that. I am eager to read the stories of these soldiers. I am glad to have read the stories in this book. I really enjoyed some of them, but given the subject matter "enjoyed" is not the word for most of them; still though, I am glad to know them now. I have been using this book as a reference for that project I mentioned in my previous entry, and I would like my husband to have the chance to read the book before I let it go, so I'm not sure just when it will leave our household. To be honest, I'm loathe to part with it in a way, but I think these are important stories that need to be shared, so I will release the book-- probably sooner rather than later, but we'll see about that part. I held onto this book for the duration of the project I was working on, but it wrapped up within the past week and I have now let this book go. 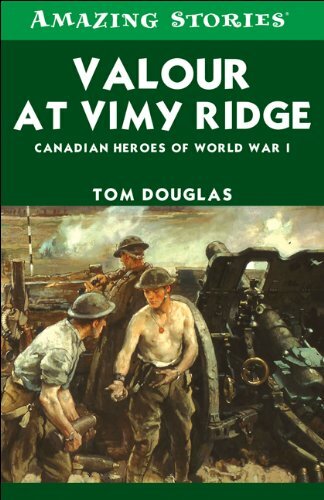 As part of my project, I researched the soldiers named on the New Hamburg cenotaph and I know that at least two of them (Pte. Erbach & Pte. Walker) died at Vimy Ridge. My husband and I had to run an errand in NH tonight anyway, so I thought it was a good opportunity to release the book, and I thought the New Hamburg cenotaph would be a fitting release spot. 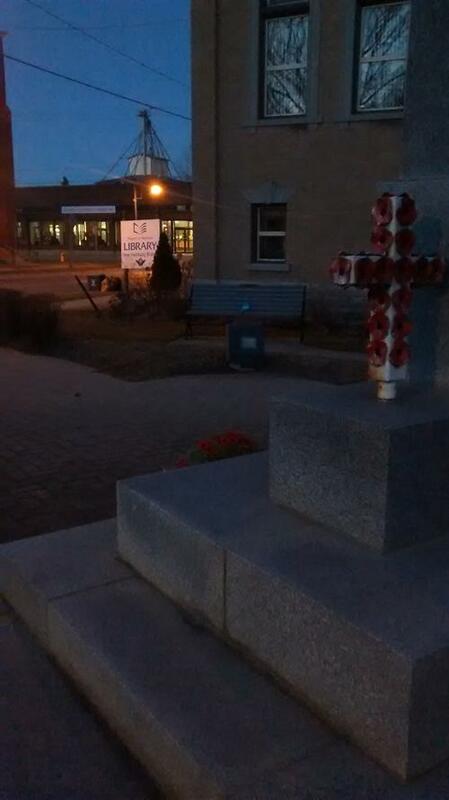 I left the book in a protective bag, sitting on the bench to the Library side of the cenotaph. If you've found this book, thanks for picking it up and checking out its journal! If you're new to bookcrossing, welcome. We'd love it if you'd stick around with us a while. I really hope that you enjoy both this book and the whole bookcrossing experience! This book was released as part of the 2019 "52 Towns in 52 Weeks" Release Challenge. New Hamburg was Town #12 for me!